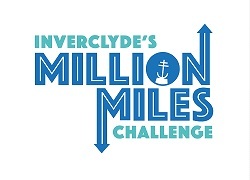 The Inverclyde Million Miles Challenge is open to everyone in Inverclyde, including all schools. We are delighted that the organisers of the Challenge choose to use World Walking to collect and collate the miles being clocked up by those taking part. World Walking allows you to use the distances you walk in the real world to complete imaginary (virtual) walks ranging from city tours to worldwide journeys. We have over 100 virtual walks to choose from, including an epic 8,000 mile walk from Scotland to Malawi which we hope might appeal to the many schools in Scotland which have links with Malawi through the Scotland Malawi Partnership. Everyone’s welcome: Go it alone or create your own group - easily! Easy to use: Create your own unique login. Track your progress: Anytime you wish. See what milestones you’ve reached, how many steps you’ve taken. World Walking app users can even find out how high they’ve climbed! See the world: There are hundreds of the world’s most amazing places to visit with World Walking. See where you are using the built-in Google Street View. Gain awards: There are 20 Awards to unlock! The more you walk, the more you receive. The landing page contains a short video about the Million Miles Challenge. Once you have registered or logged in using the landing page all of the distances you subsequently add to World Walking will be included automatically in the live total displayed on the landing page of the miles walked by all the individuals and groups taking part in the Challenge. Use (spend) the distances you bank to complete the walk which your school has chosen to do from the range available on World Walking. Apart from anything else, it will let you see at a glance how many miles have been walked by everyone taking part in the Challenge. Once you have registered to take part in the Inverclyde Million Miles Challenge there are a few simple steps you need to follow. Here they are along with some helpful tips. Step 1: Create a group for your school using the Quick Link on the landing page titled - "Create a Group"
You can set up your group so that teachers in your school can join it or set it up so that they need to be invited to join. The easiest way is probably to set up so that anyone can join it. You can always edit your group details later, once everyone who needs to join it from your school has joined the group, and change the group's status so that people have to be invited to join your group. Step 2: Start a walk for your group using the Quick Link on the landing page titled - "Start a new walk"
Register to use World Walking using the landing page to register (or login if they already have a World Walking account). World Walking allows users to enter an optional display name will be shown in place of their full name on the website. Teachers may wish to enter a display name which describes their class e.g. Miss Turner's Trailblazers or Primary 3. Search for the group that has been set up for your school using the Quick Link on the landing page for 'Search 'millionmiles' groups' and entering the 'group keyword' in the 'search' box. To join the group, just click the 'Join this group' button. To start your school's chosen walk your colleagues should just click on 'My Groups', then click on 'Our Walks'. They will see a message which says that they not part of this walk yet and an invitation to join now which they just need to click. To log the distance you have walked to help complete your chosen virtual walk you need to deposit your distance in your World Walking 'bank' and then 'spend' the distance you have 'banked' on your walk. We have included a Quick Link on the landing page for you to use to 'Add your distance (bank)'. You can 'spend' the distance you have 'banked' anytime. You will find another Quick Link on the landing page labelled 'Spend distance on a walk' which allows you to do that. To edit your group details e.g. to change the status of your group to 'invite only', open your 'group' page and then click on the down arrow at the right hand side of the menu bar on your group page. Select the 'edit group' option from the short drop down menu that appears. With World Walking users can enter their distances in steps, kilometers or miles. To help users enter their distance correctly they can set a default unit of distance. To do this click on 'settings' on the menu or your dashboard (user's home page) and select the value you prefer to use when entering the distance you walk e.g. miles if your school is doing the Daily Mile.